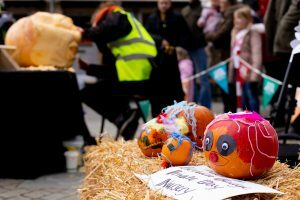 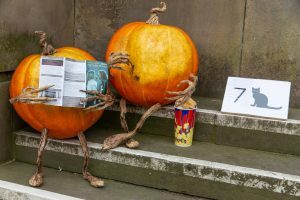 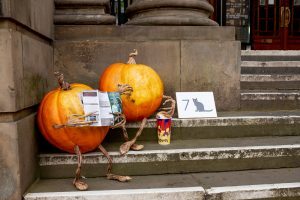 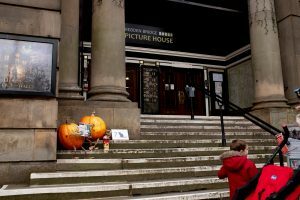 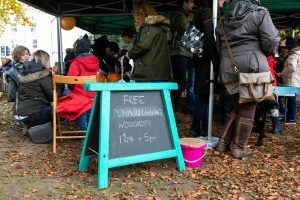 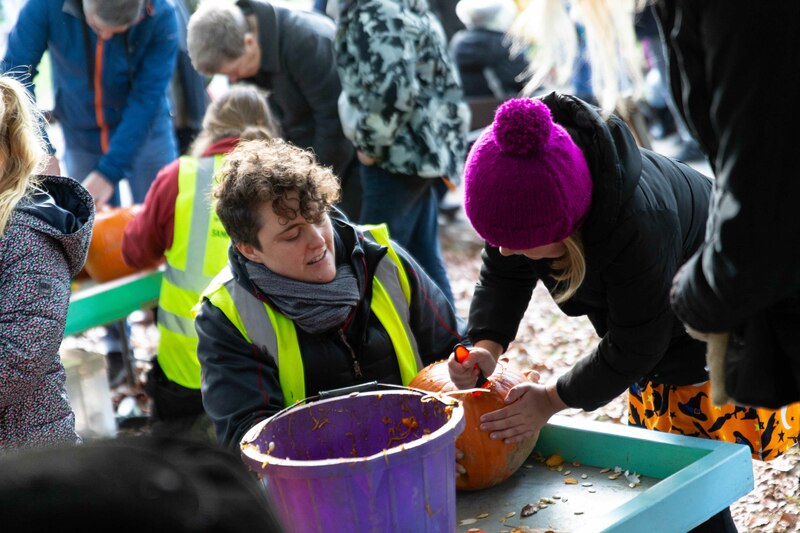 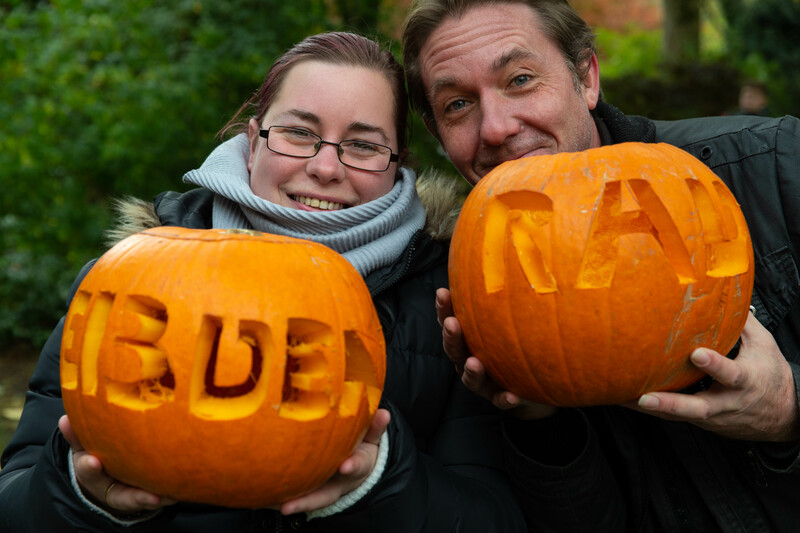 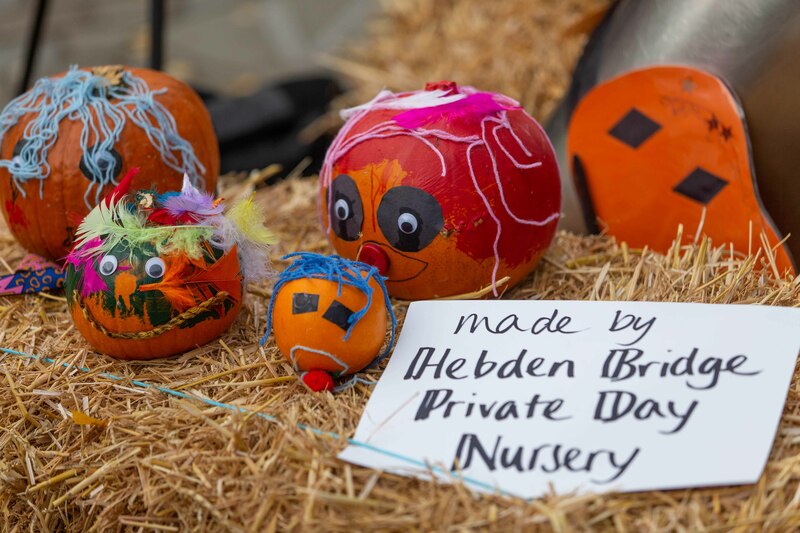 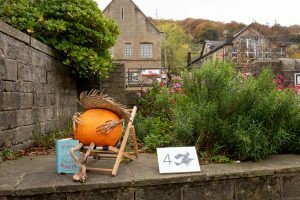 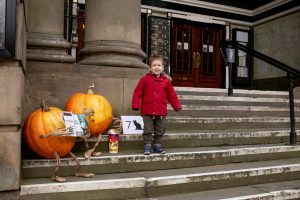 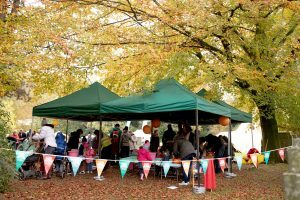 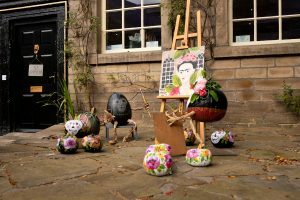 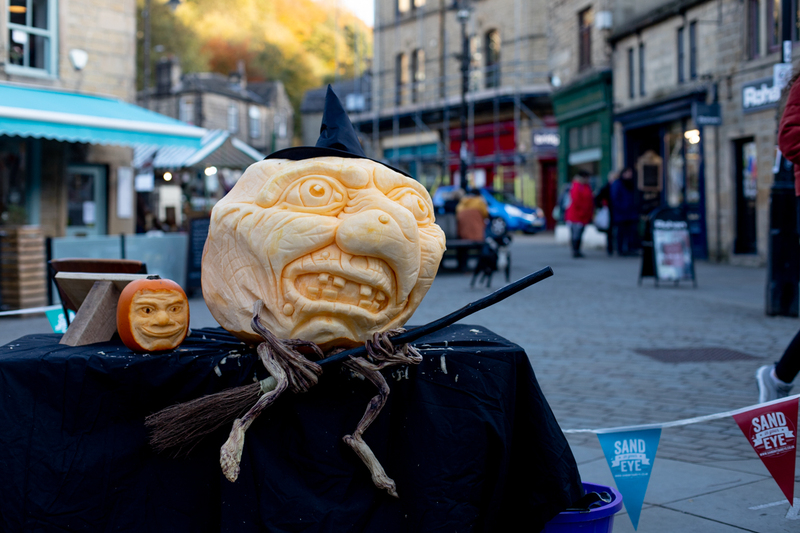 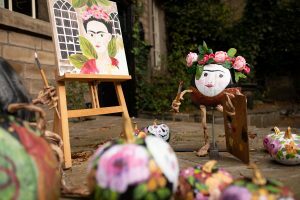 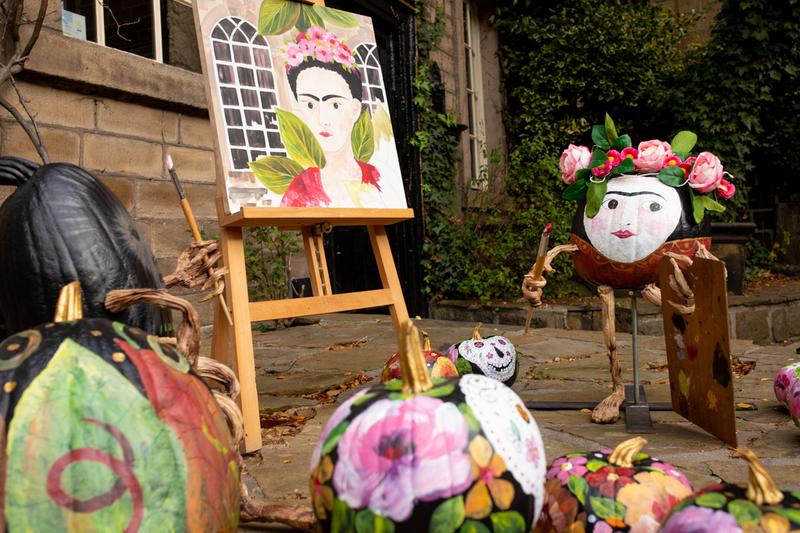 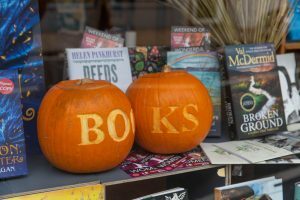 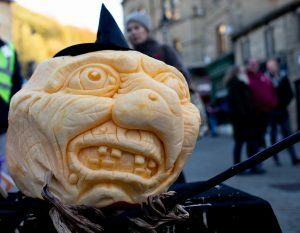 Following on from the success of last year’s Great Pumpkin Festival in Hebden Bridge, West Yorkshire, Sand In Your Eye and our partner Hebden Royd Town Council were determined to make the 2018 pumpkin carving extravaganza even bigger and better! 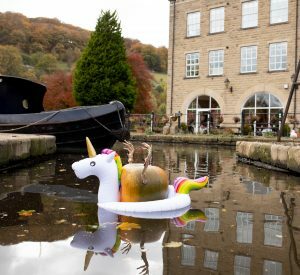 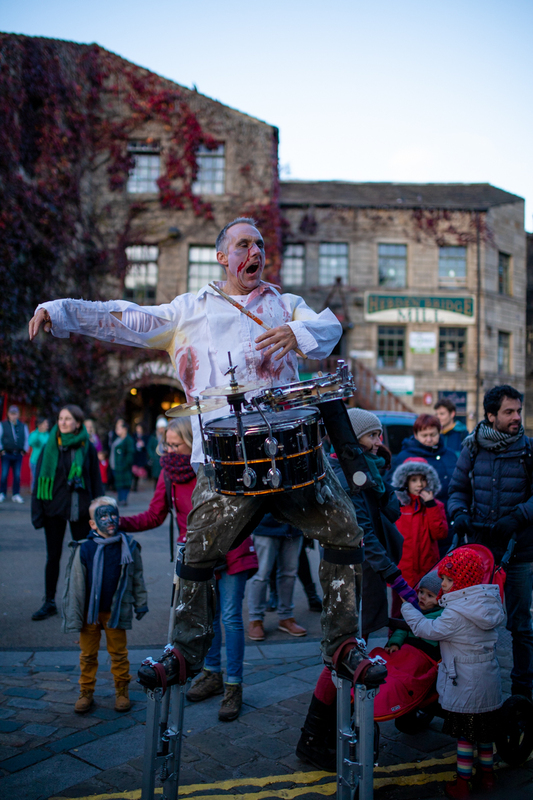 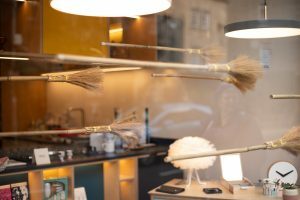 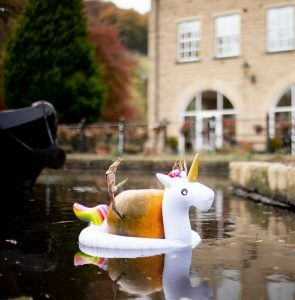 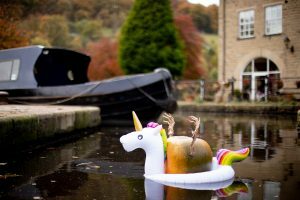 Hebden Bridge, our hometown, is well known for being full of creative people and is famous for it’s festivals and family events, which attract a lot of visitors into the town. 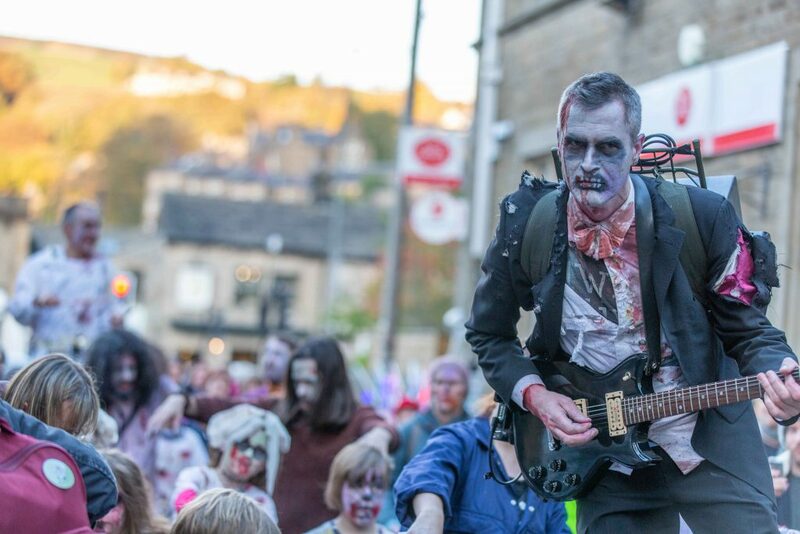 It’s always a great family day out in Yorkshire. 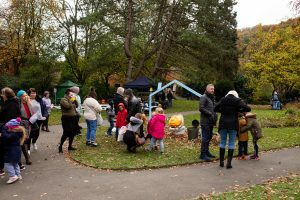 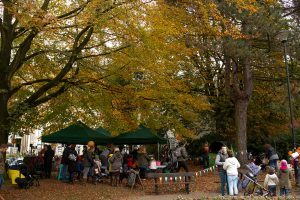 We were keen to have an event that would take place over a much wider area, encouraging families to explore the town further than the usual touristy bits. 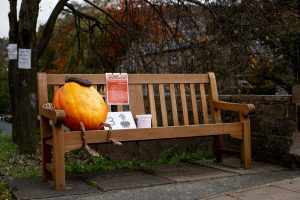 We also wanted to get the town itself involved, with local shops, pubs, cafes and businesses making spooky and ghostly displays in their windows and schools and community groups including Scout Road Academy, Hebden Royd Primary, Heptonstall Junior, Infant & Nursery School, Hebden Bridge Private Day Nursery, the Woodcraft Folk, Mytholmroyd Scouts, the WI, Happy Valley Pride, and Hebden Bridge Arts Festival, getting together to make outdoor scenes of pumpkins made by their members. 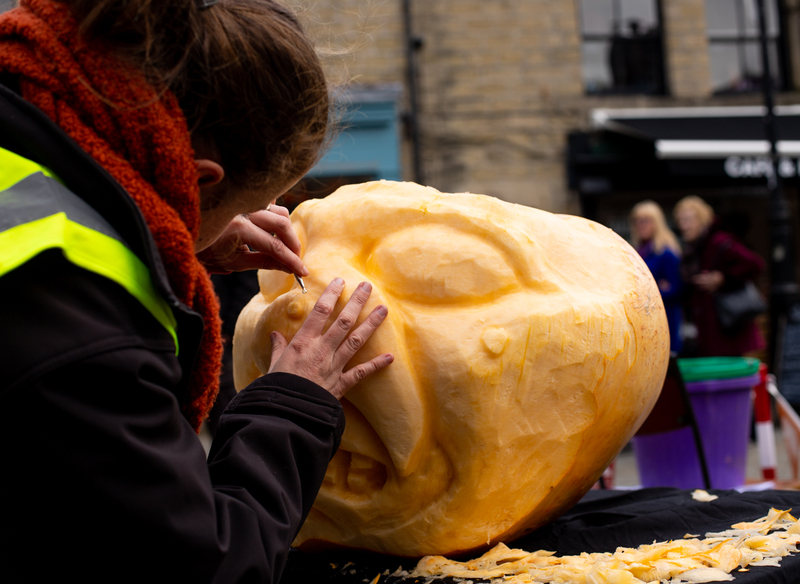 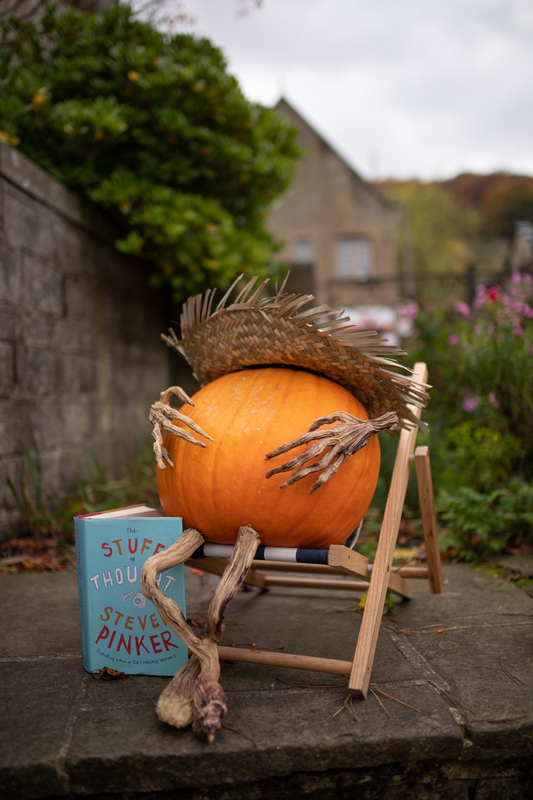 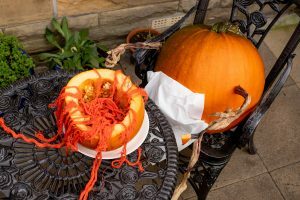 In the weeks leading up to the Great Pumpkin Festival, Hebden Bridge, we held pumpkin carving workshops in our studio so the businesses and groups could pick up some tips on how to carve 3d Halloween pumpkins. 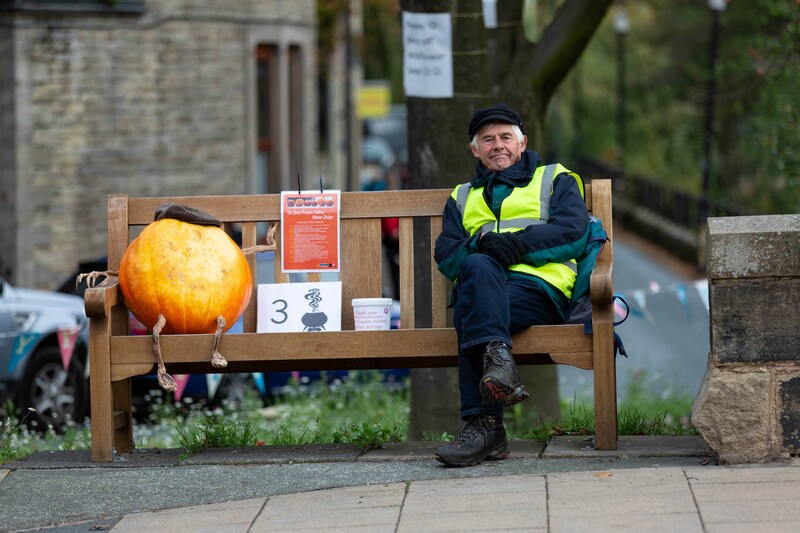 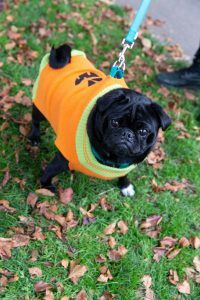 We were really pleased with how many Yorkshire folk wanted to get involved and how excited they were about the Pumpkin Festival and Halloween. 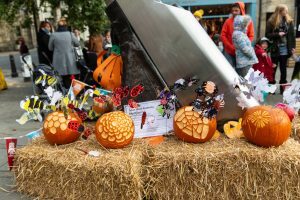 All of the pumpkin displays they ended up creating were incredibly eye catching and really added to the atmosphere of the event, it was really impressive how creative people could be and how many different ways they came up with to decorate a pumpkin. 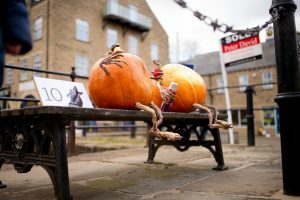 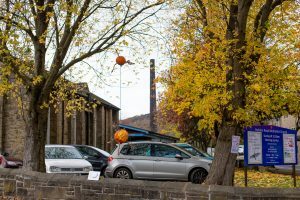 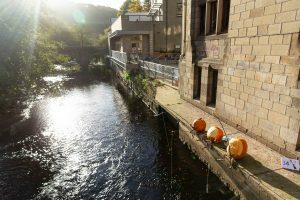 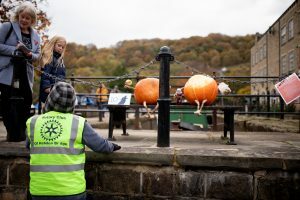 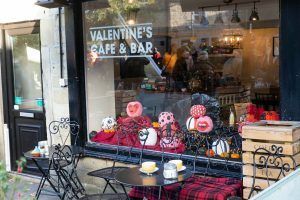 The day started off cold and bright, wrapped up in our hats and scarves, we set up all the pumpkins around Hebden Bridge. 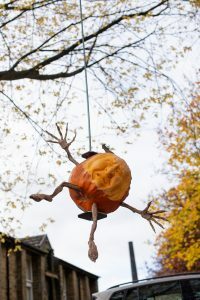 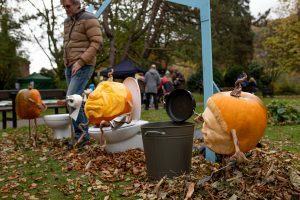 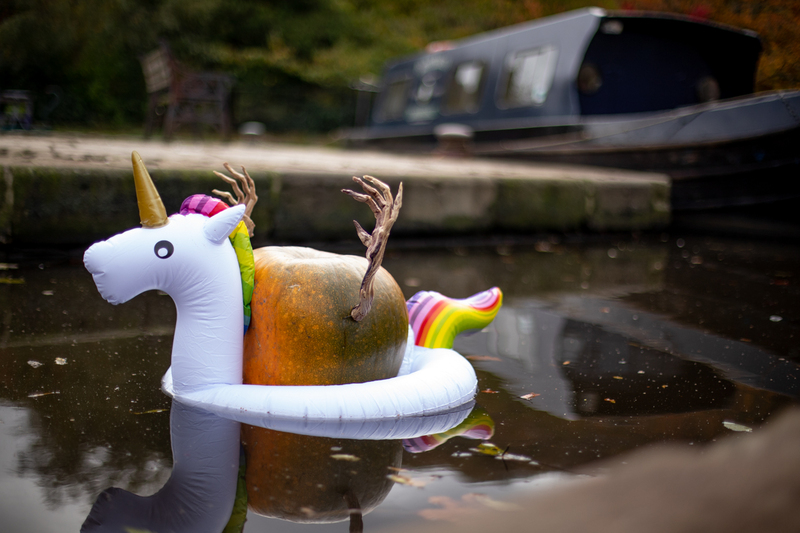 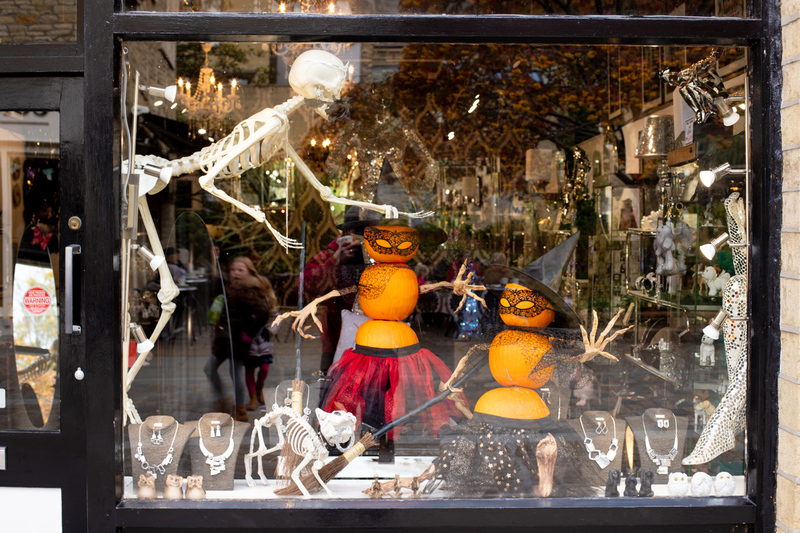 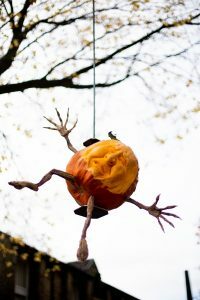 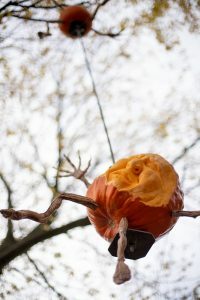 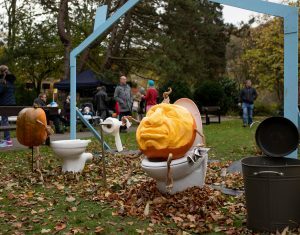 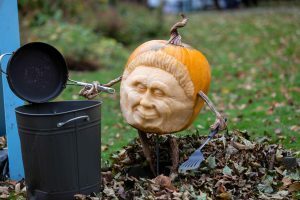 There would be several displays, across town, in a wide variety of settings, of pumpkins in silly and funny poses. 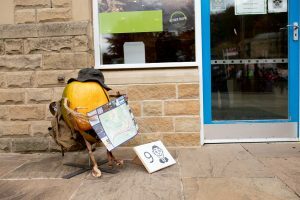 Our wonderful friends at Hebden Bridge Rotary Club were on hand to guide people around town and give out maps. 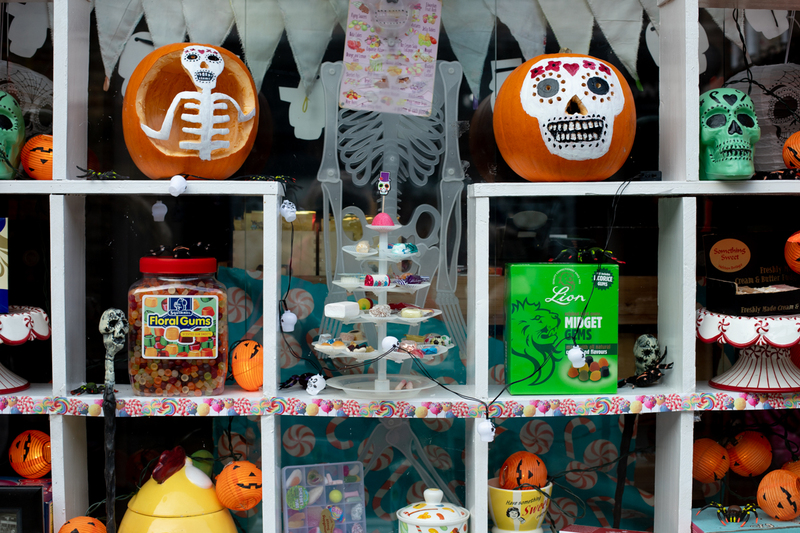 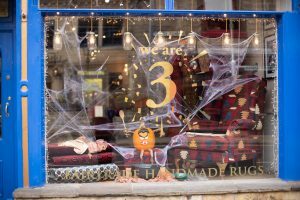 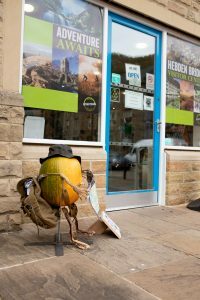 If you found all the displays you could enter a prize draw to win the fantastic Hebden Bridge Halloween Hamper, a hamper absolutely jam packed with goodies and prizes kindly donated by businesses across Hebden Bridge. 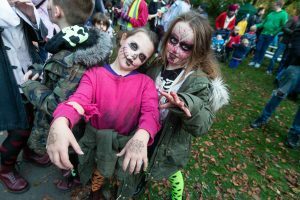 There was a buzzing atmosphere and it was great to see so many people and families excitedly running all over town looking for them. 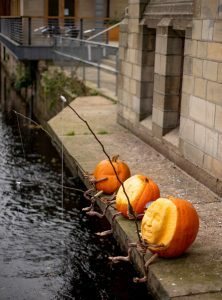 As well as a tightrope walking pumpkin, a pumpkin floating in an inflatable in the marina by the Rochdale Canal, a group of pumpkins fishing by the Town Hall, some film fans sat on the steps of the Picture House, and a vegetarian cannibal pumpkin outside Green’s Vegetarian Café we had a large display in the Memorial Gardens sponsored by Yorkshire Water. 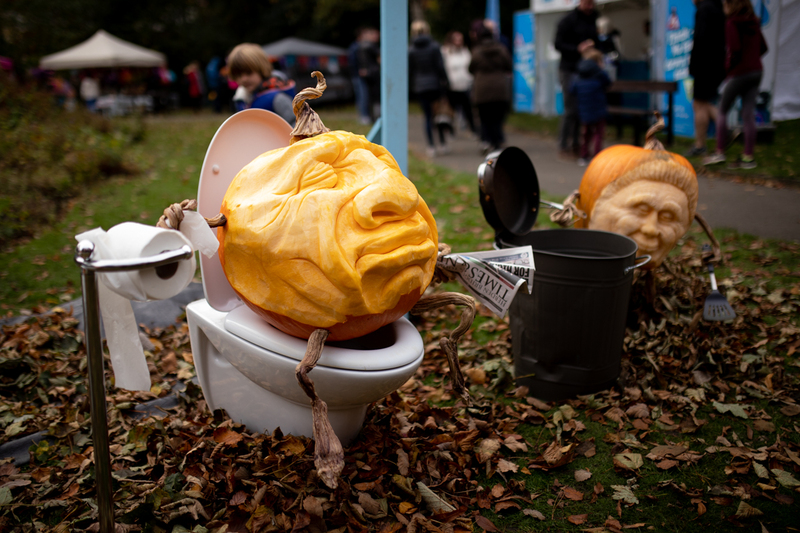 They currently have a campaign running to educate people on what should or shouldn’t be flushed down your toilet or poured down your sink “Flushing Wipes Blocks Pipes!” It was interesting and at times hilarious to think of how we could illustrate this with pumpkin carving, but I think our pumpkin on the toilet got the message across and lots of people wanted to take a selfie with it! 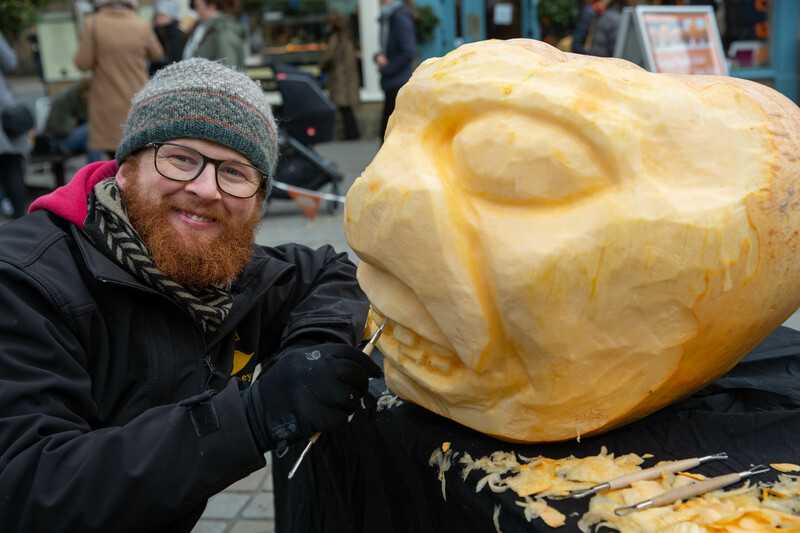 There was professional pumpkin carving taking place in St George’s Square with a live carve – this always had a crowd around it as the day progressed and a gnarly, warty, cackly witches face emerged from the giant Halloween pumpkin, everyone had questions and wanted to chat with our pumpkin artists. 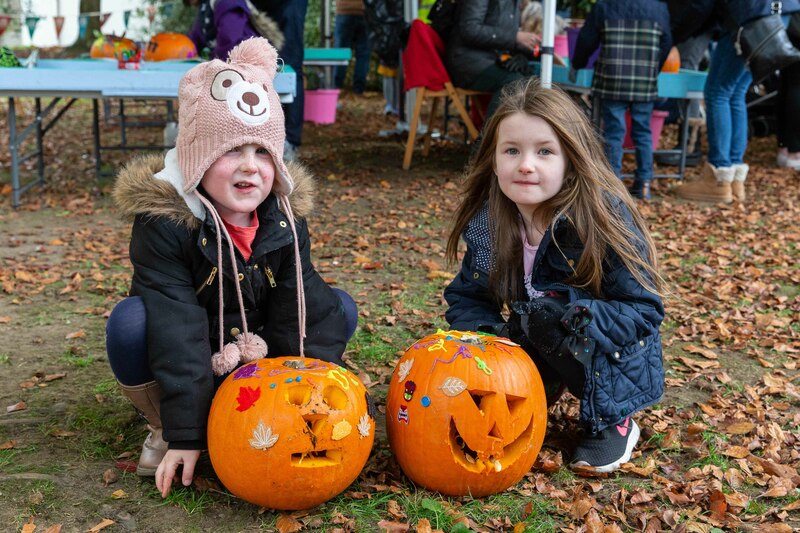 Halloween is obviously a family event and with it being October half term there would be a lot of people looking for things to do with the kids, the Pumpkin Festival did not disappoint – Sand In Your Eye and their talented team spent the day holding free pumpkin carving workshops where families and kids could learn how to carve a pumpkin or could try decorating it and then enter it in a pumpkin carving competition. 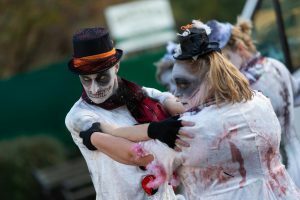 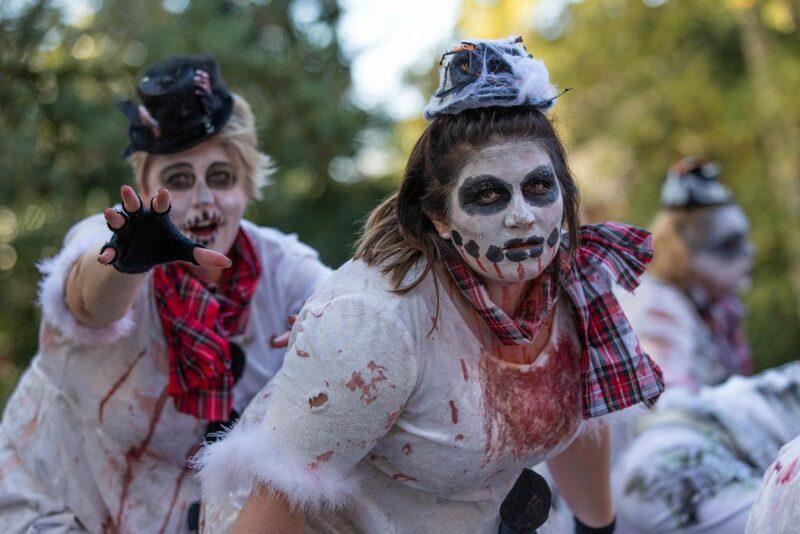 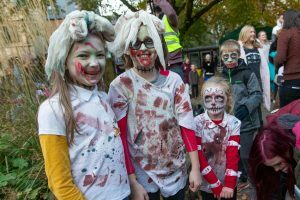 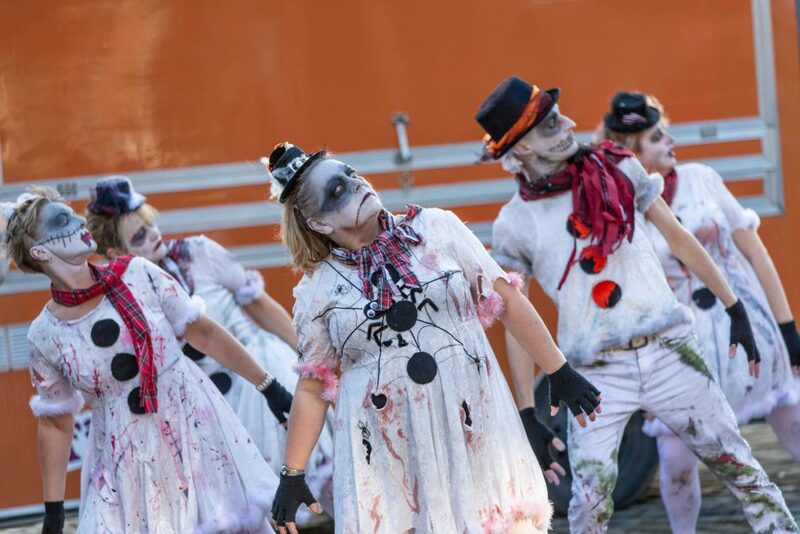 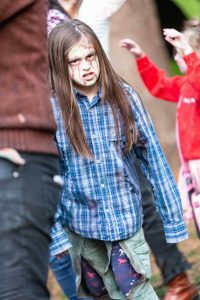 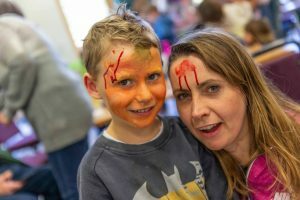 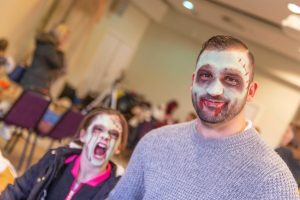 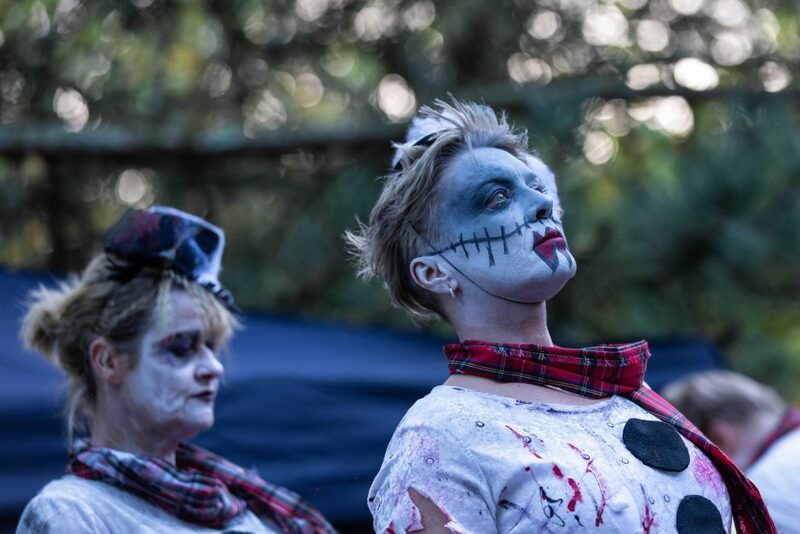 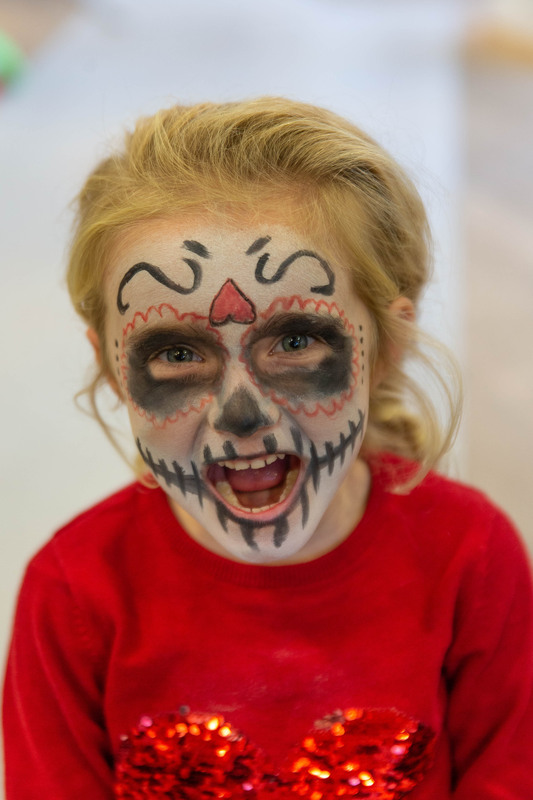 If you wanted a different kind of Halloween event, in the Town Hall you could join in free family workshops to learn how to become a zombie! 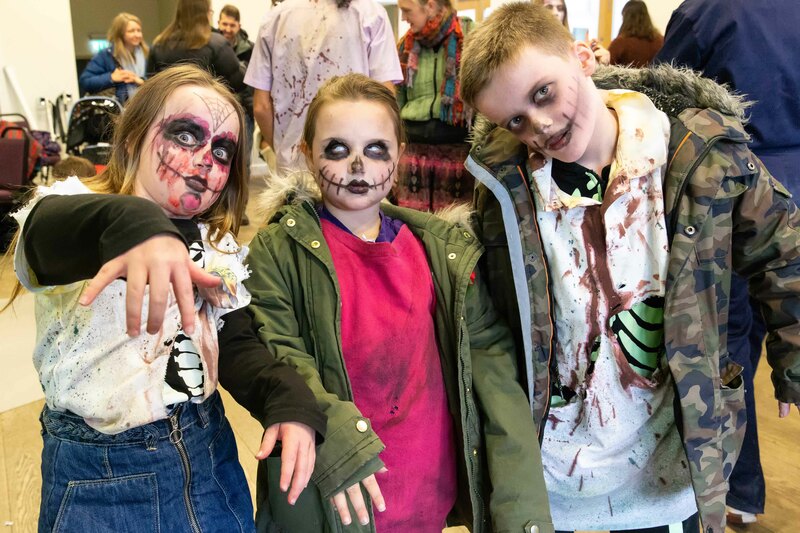 Local musician Brian Acton and his band The Black Sheikhs led childrens workshops to show you how to dress like a zombie, how to paint your face to look like a zombie and then how to walk and dance like a zombie – this all ended in a very spooky parade as the newly suited and booted zombies marched through town! 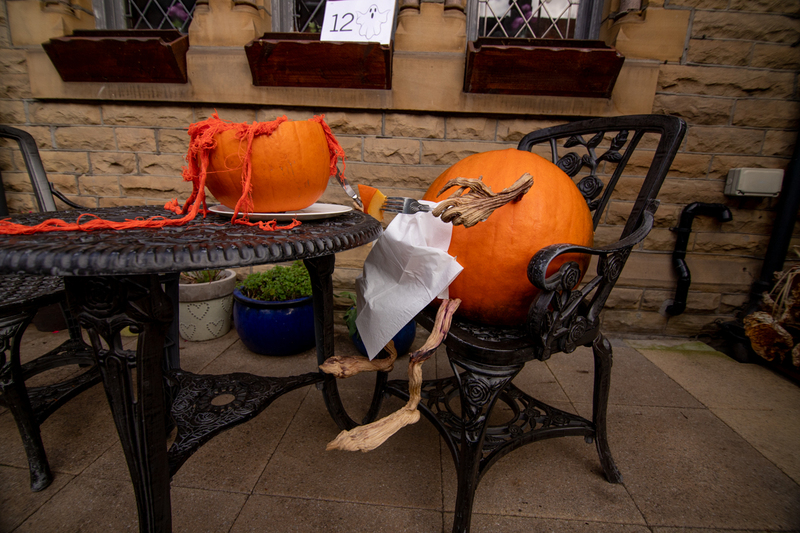 If all this excitement was too much, there were plenty of opportunities to relax, grab some food from the many food stalls and listen to some music courtesy of Hebden Radio, who as well as playing music and announcing the Halloween events going on throughout the day, programmed an afternoon of incredible local music including Ruby O’Hare, Birds & Beasts and the always popular Bazzmatazz – who performed not once, not twice but three times that day in locations around Hebden Bridge with their special Halloween dance medley “Walking in the Scare”, which featured lots of Halloween music and some very scary snowmen and women. 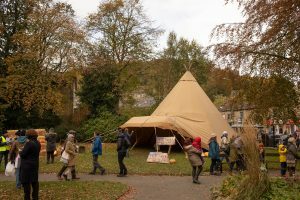 A great place to chill out and take everything in was the Enchanted Teepee, kindly donated by a local company, it was a really cool, large space with straw bales to sit on where you could see everything that was going on. 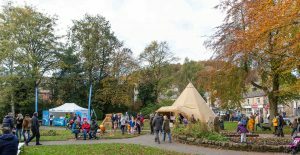 They also hire out their teepees for events, parties and weddings. 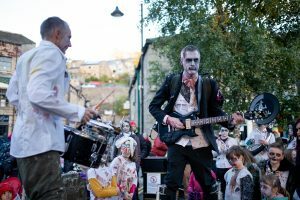 Actress and story teller Ursula Holden-Gill led Hebden Bridge themed ghost walks throughout the day and evening for children and adults. 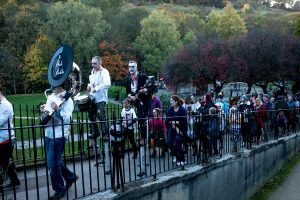 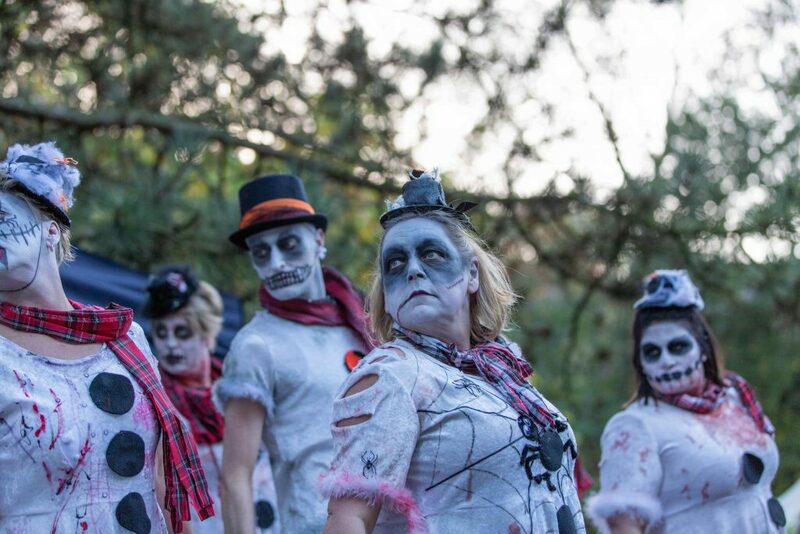 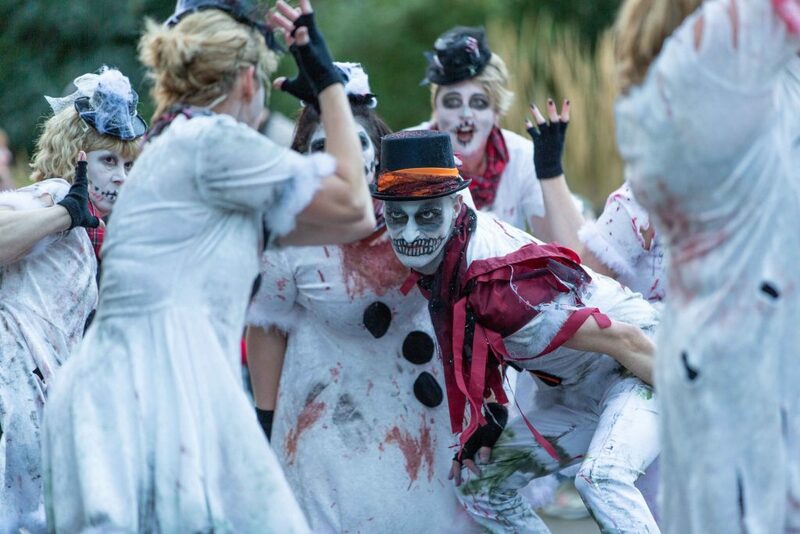 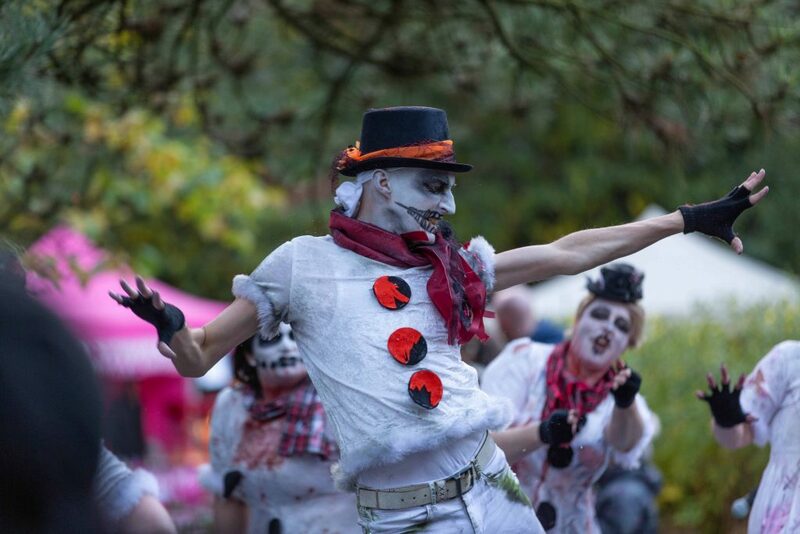 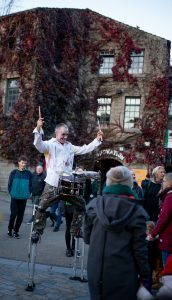 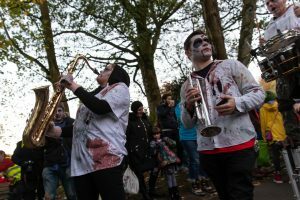 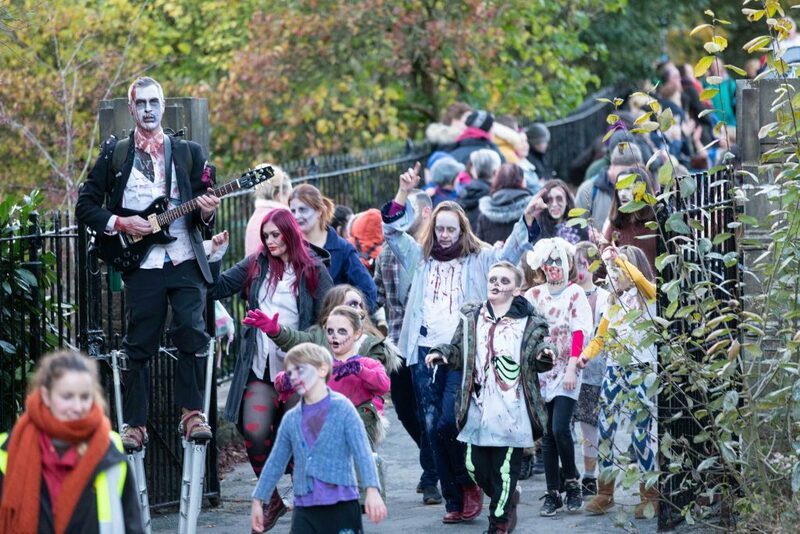 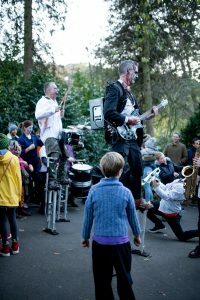 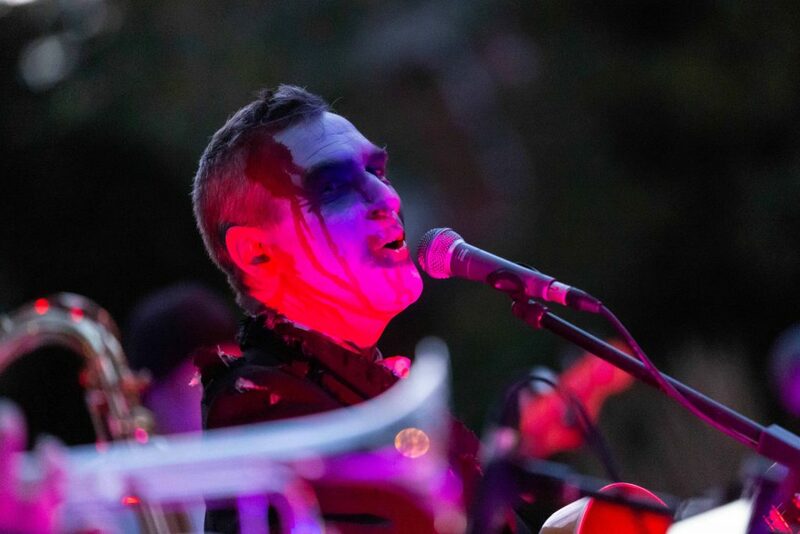 As the day drew to a close, the zombies left the Town Hall and made their lurching, staggering way to the Memorial Gardens, led by stilt walking musicians. 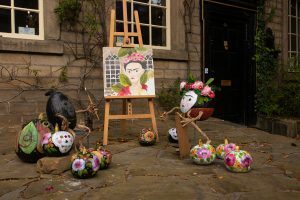 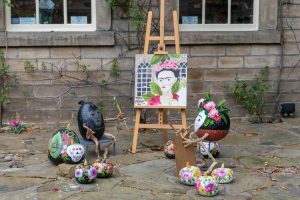 Once everyone was there the winners of the pumpkin carving competitions were announced by Hebden Royd Mayor Cllr Dr Carol Stow, as well as the winner of the pumpkin trail and the Hebden Bridge Halloween Hamper and the best retail display, which was deservedly won by Heart Gallery who made an amazing painted pumpkin display outside their gallery featuring a Frida Kahlo pumpkin – this also fitted in very nicely with Hebden Bridge Arts Festival’s Weekend of Wonderful Women, which was running at the same time. 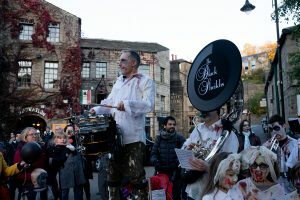 The Black Sheikhs then got off their stilts, picked up their instruments and as night fell, rocked the huge crowds of happy people. 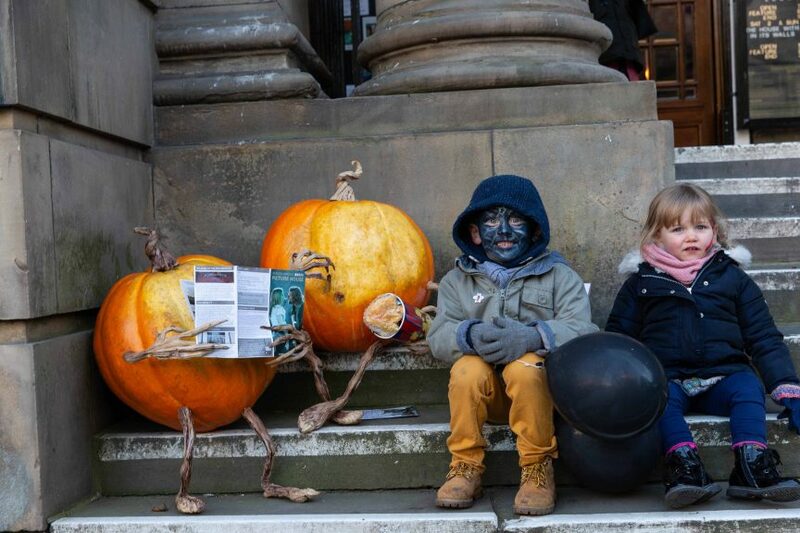 It was a wonderful, busy day, despite the cold weather and the train strikes. 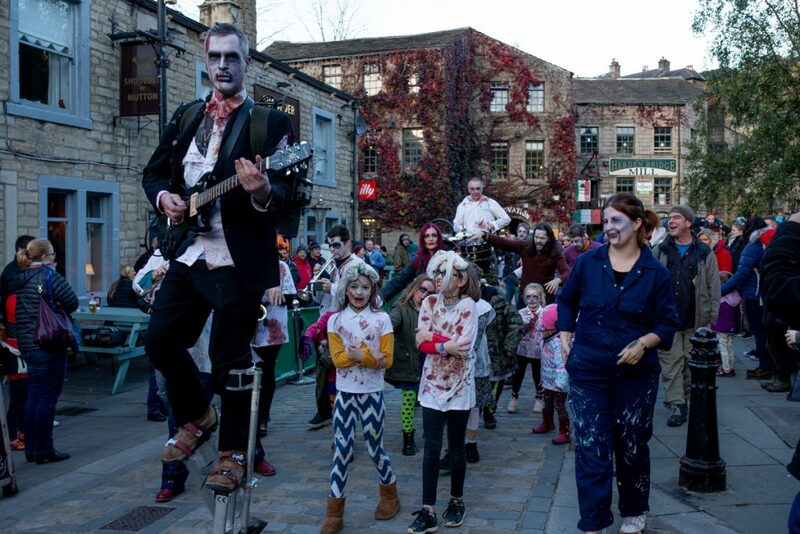 Hebden Bridge was full of families and visitors to the town having fun. 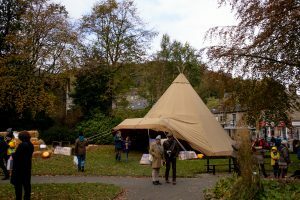 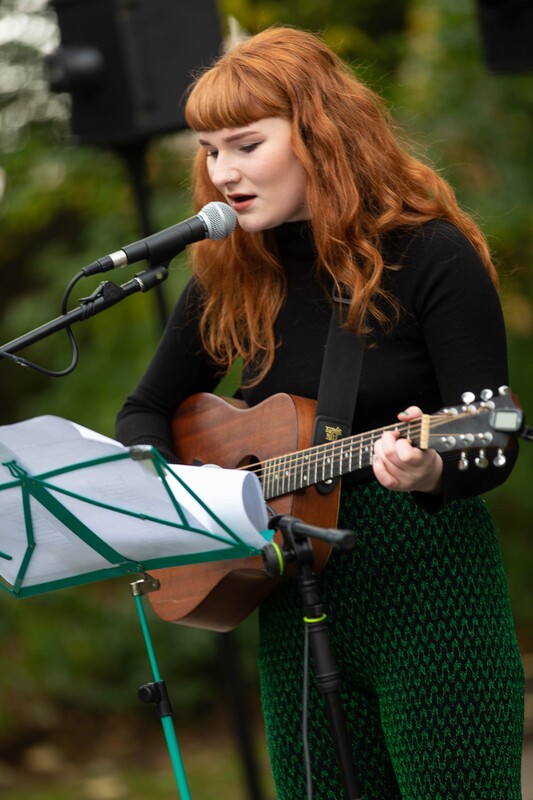 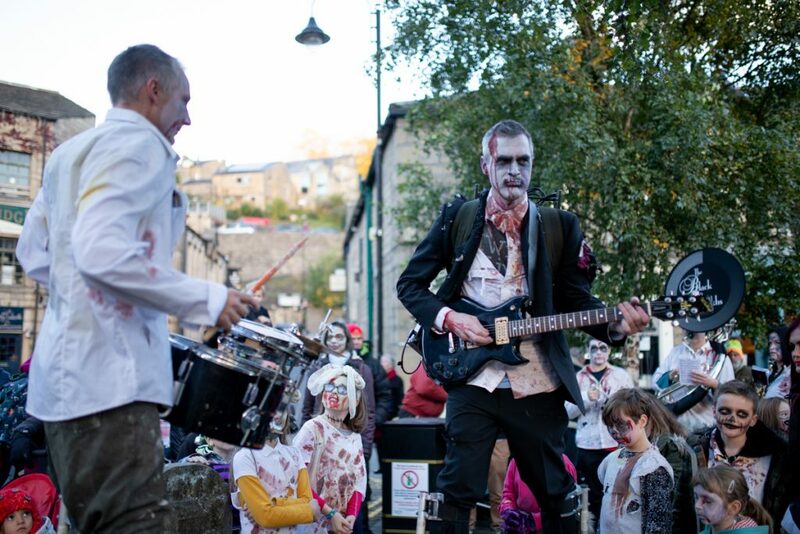 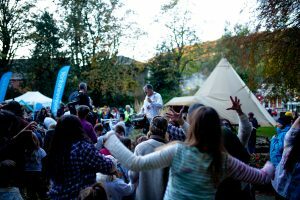 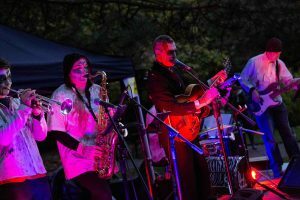 We would like to thank Hebden Royd Town Council (especially Emma Green, Jason Boom, Rebekah Cox, and Mayor Cllr Dr Carol Stow), Yorkshire Water, Hebden Bridge Rotary Club, Enchanted Teepees, Hebden Radio, Brian Acton & Black Sheikhs, Bazzmatazz, Ruby O’Hare, Birds & Beasts, Ursula Holden-Gill, Gordon Rigg’s, St John’s Ambulance, Craig Shaw Photography, Bezmond, Calderdale Metropolitan Borough Council, all our volunteers, all the local shops, bars, cafes, pubs and businesses of Hebden Bridge that came to our workshops, took part in the festival, donated prizes, and gave their support, as well as all the amazing people of Hebden Bridge and visitors and participants in the pumpkin carving workshops and zombie parade. 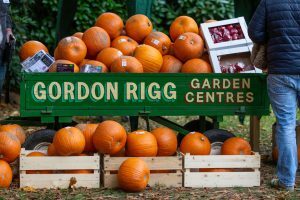 The shipping forecast is for pumpkins. 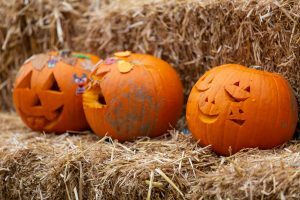 Lots of pumpkins. 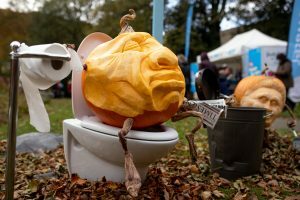 I think I’ve got one!